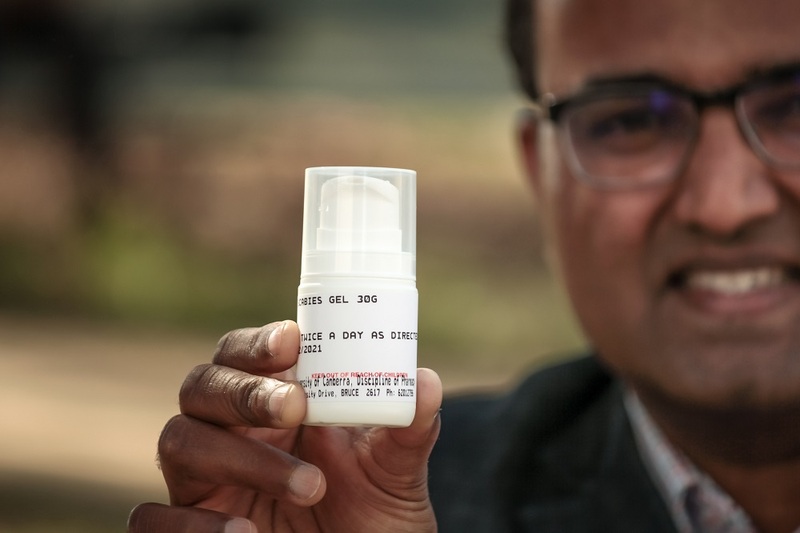 4 April 2019: A University of Canberra-led project team has received $1.3 million in funding for an innovative new treatment addressing a deadly – and potentially fatal – disease in rural Aboriginal communities. Led by Assistant Professor (Pharmacy) Dr Jackson Thomas, the team received a Medical Research Future Fund (MRFF) Rare Cancers, Rare Diseases and Unmet Need Grant Opportunity, which will enable further trials of its boundary-busting scabies treatment. “Scabies is a debilitating skin condition caused by parasites, and the disease can lead to blood poisoning,” said Dr Thomas. “This can subsequently result in kidney disease and rheumatic heart disease, often fatal. The global picture is also serious: about 300 million people worldwide are affected with the disease, at any given time. Dr Thomas and his team based their treatment on Australian tea tree oil, rooting it in Aboriginal bush medicine traditions. It was further developed under a 2016-2017 project, which received a seed grant of $100, 000 from the University’s Office of Aboriginal and Torres Strait Islander Leadership and Strategy (OATSILS) and the Collaborative Indigenous Research Initiative (UC CIRI). This initial grant enabled the team to pilot a trial of the scabies treatment in Indigenous Australian children in the Northern Territory. The tea tree oil treatment kills both the parasite and its eggs, and addresses the bacterial progression of the condition. It also solves many of the problems which have plagued conventional treatment efforts. In contrast, the bush medicine-based treatment is a gel. “It is pleasant to use, and it doesn’t leave any residue on the skin,” said Dr Thomas. This encourages proper and consistent usage – a crucial aspect of any scabies treatment, so that the parasite does not develop resistance. The other conventional scabies treatment is an oral medication, usually not prescribed to children below five because of the health risks it carries. This then doesn’t address the problem, since children from this age group are the ones most susceptible to the disease. With tea tree oil being a traditional ingredient in bush medicine, the treatment aligns with Indigenous healing culture, and so is more likely to be accepted by remote Aboriginal communities. “This project is a classic example of a perfect connection point between Aboriginal bush medicine and Western medical perspectives,” said University of Canberra Chancellor Professor Tom Calma. Professor Calma is a chief investigator for the project, and one of four Aboriginal researchers in the study team. Finally, the multi-faceted treatment ticks all the right boxes to be a truly remarkable solution. “Unlike conventional treatments, our treatment has combined ovicidal, parasiticidal, anti-inflammatory, anti-bacterial and anti-pruritic and healing properties – a world first,” said Dr Thomas. 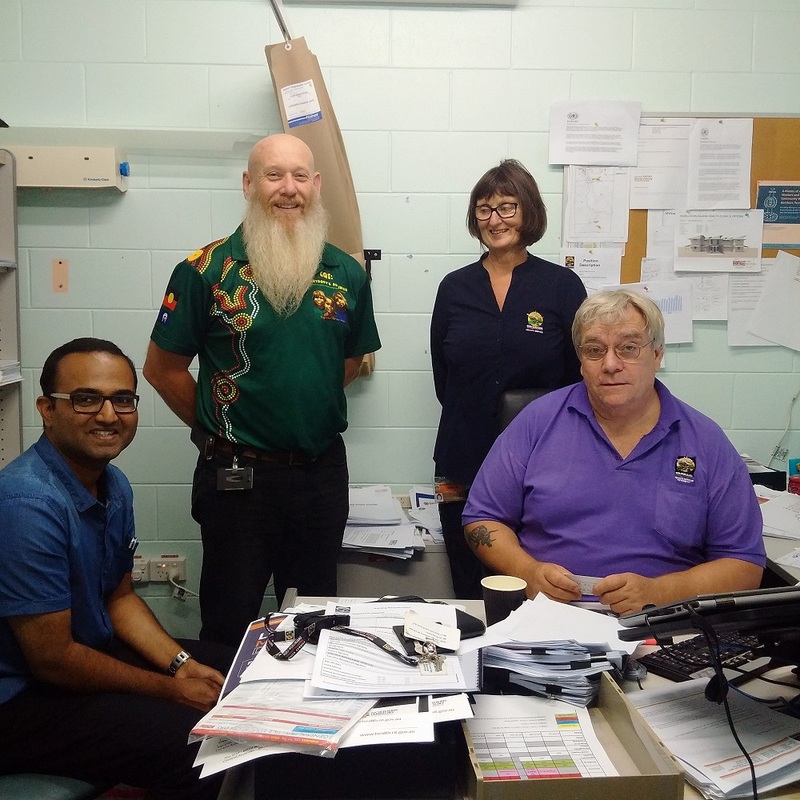 The grant will allow Dr Thomas and his team to recruit 210 patients, in collaboration with their community partner, the Wurli-Wurlinjang Aboriginal Community Health Service in Katherine, the Northern Territory. The three-year project will map the treatment’s effectiveness, then provide a platform for its roll-out. “We have had nothing but very positive feedback and engagement from the Aboriginal community members we have worked with,” said Dr Thomas. The project is a collaboration with the Wurli-Wurlinjang Aboriginal Community Health Service; Australian Institute of Health and Welfare; Burnet Institute; Charles Sturt University; Telethon Kids Institute in Subiaco, WA; University of Melbourne; University of Tasmania; University of Sunshine Coast; and University of Western Australia.